Tilly has always known she's part Lakota on her dad's side. She's grown up with the traditional teachings of her grandma, relishing the life lessons of her beloved mentor. But it isn't until an angry man shouts something on the street that Tilly realizes her mom is Aboriginal too--a Cree woman taken from her own parents as a baby. Tilly feels her mother's pain deeply. She's always had trouble fitting in at school, and when her grandma dies unexpectedly, her anchor is gone. Then Abby, a grade-seven classmate, invites her home for lunch and offers her "something special" to drink. Nothing has prepared Tilly for the tingling in her legs, the buzz in her head and the awesome feeling that she can do anything. From then on, partying seems to offer an escape from her insecurities. But after one dangerously drunken evening, Tilly knows she has to change. Summoning her courage, she begins the long journey to finding pride in herself and her heritage. Just when she needs it most, a mysterious stranger offers some wise counsel: "Never question who you are or who your people are. It's in your eyes. I know it's in your heart." Loosely based on author Monique Gray Smith's own life, this revealing, important work of creative nonfiction tells the story of a young indigenous woman coming of age in the 1980s. 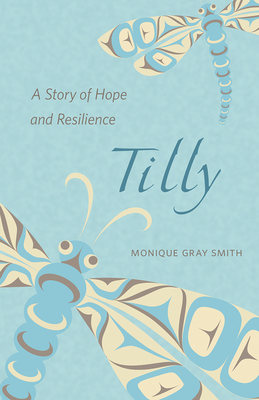 In a spirit of hope, this unique story captures the irrepressible resilience of Tilly and of indigenous peoples everywhere.